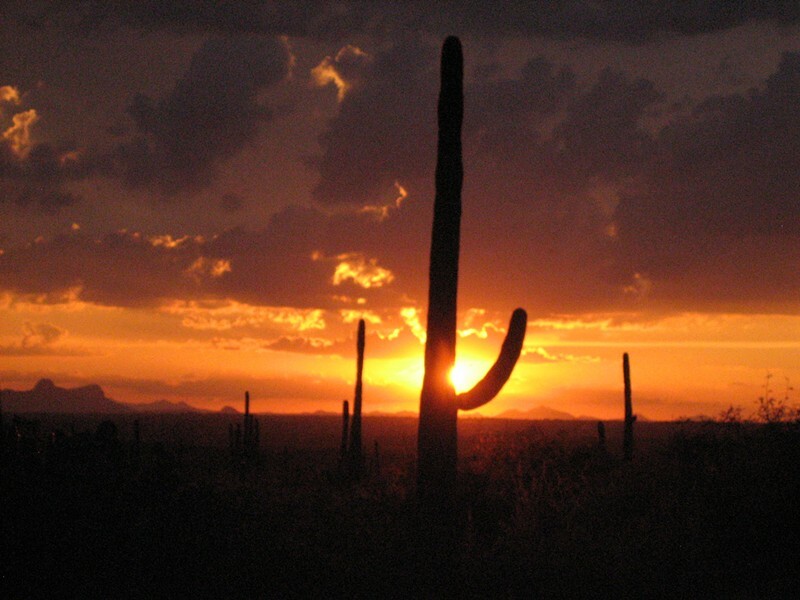 Saguaro National Park is named after Arizona's most recognizable and beloved cactus. The saguaro can grow up to 50 feet tall and live to be 200 years old, with more than 50 arms. It is only found in the Sonoran Desert. Saguaro National Park is one key area in which these gigantic plants can be found--and the grounds of the park are not far from Tucson's bustling city streets. In fact, an estimated 1.6 million different saguaro plants thrive on the grounds of the park. There are two park districts, 30 miles apart: The Rincon Mountain District (East) and the Tucson Mountain District (West), with Tucson in the middle. More than 1,100 species of plants grow in the Rincon Mountain District of the park--from ocotillo in the lower elevations to Ponderosa pine, Douglas fir and oak in the higher elevations. The Tucson Mountain District is home to around 500 plant species. In 1933, the Rincon Mountain District of the park was the first monument named to protect the plant species, and in 1961, more than 15,000 acres of the Tucson Mountain District were added to the monument. In 1994, President Bill Clinton signed a bill making the monument into the 52nd national park in the United States. The park's two districts offer some 165 miles of hiking trails. The park has a trail for any hiking level, from a small, brief walk to an all-day hiking adventure.